He was arrested for domestic violence and then the charges were dropped because an investigation proved he wasn’t the aggressor. The City of Bloomington decided he needed to pay a price anyway, he got a 10 day suspension. For a fireman, that’s 10 24-hour days. 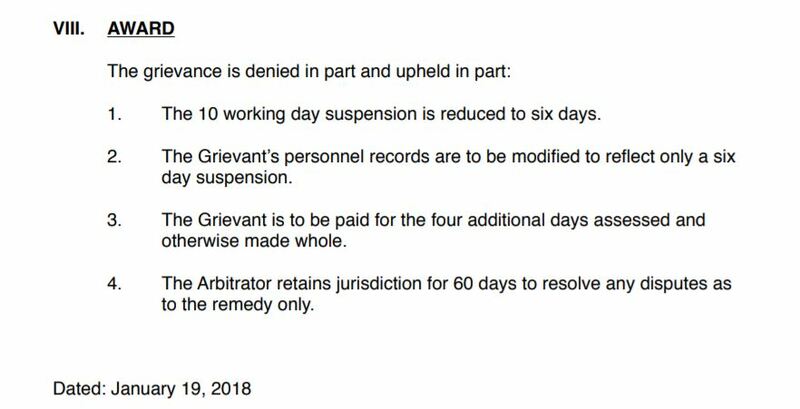 That is the equivalent to a 30 day suspension for people working 8 hour days. The Union filed a grievance against the City claiming the 10 days was excessive. It went to arbitration that required many hours of legal fees. Instead of negotiating a reduced suspension based on the facts, the City decided to fight the grievance – of course using tax dollars. All the legal expense was wasted. They now get to pay for 4 24-hour days. That’s the equivalent of 96 hours. No, you weren’t supposed to find out. Posted in BloNo, Bloomington, Local, Progressives, Renner, Taxes.Tagged arbitration, grievence, Jon Caponi, legal fees. the 4 days back paid to me is not a huge issue. It’s the city’s approach to the grievance process. For years the union and the city could usually find common ground on the discipline. Now there policy is everything to a arbitrator. Even though the union pays half that it’s a waste of money. I remember one grievance the city cancelled the arbitration the day before the hearing so they still had to pay. Interesting. Lawyers have to eat too evidently. pretty stupid for intelligent folk , but hey they get paid no matter what . A state law as related to unions probably encourages, maybe even requires, arbitration instead of another solution. Guess who wrote that law if it exists. Lawyers. Both sides get paid. Win win for the lawyers.